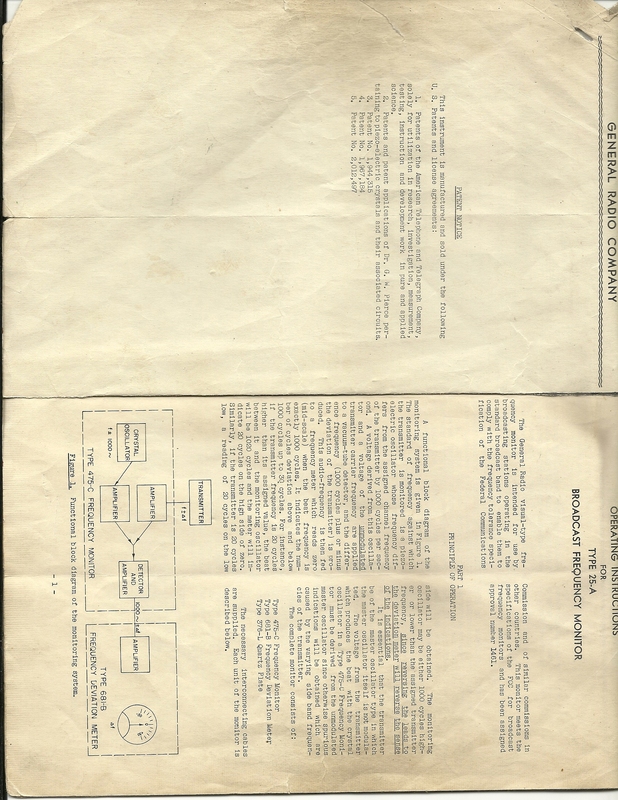 "Box 1 folder 6 is from 1940 approximately. 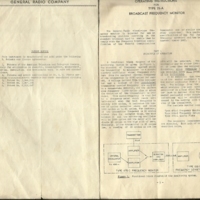 It’s a General Radio Company pamphlet, an instruction manual for a Type 25 A Broadcast Frequency Monitor with schematics. 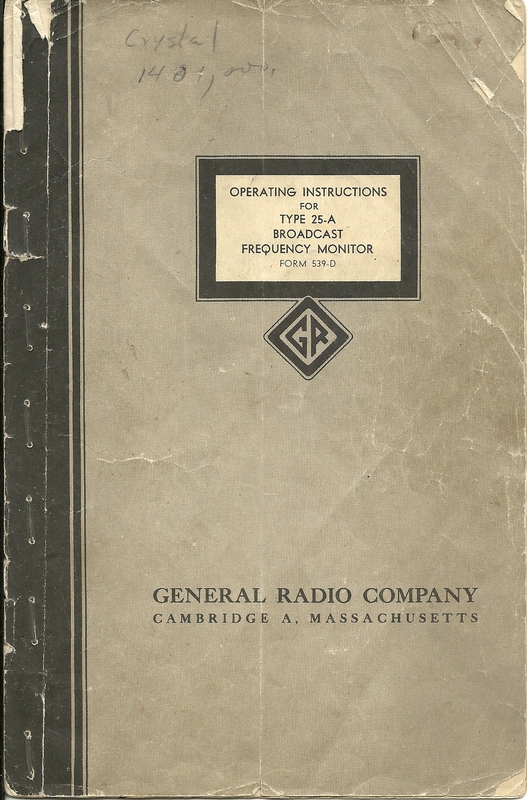 We approximated the year based on the availability of tubes listed in the appendix of this manual. 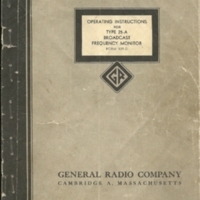 We asked Mr. Leciel Hubbard the engineer at WJLD on July 27, 2011 if he could confirm that tubes such as the 6V6 and other 6 tubes were in use. How far back were they in use? And he confirmed that they were in use actually from the 30s through the 50s. Received from the home of Ben Franklin." 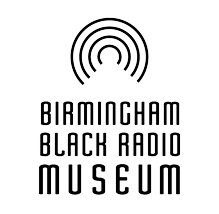 “Manual, Type 25 A Broadcast Frequency Monitor,” The Birmingham Black Radio Museum, accessed April 21, 2019, http://thebbrm.org/item/116.